At the recently held “Brief Guide to Data Privacy” wherein the Data Privacy Act of 2012 was discussed to various industry representatives that regularly transact their business with the collection of data from its customers and clients, the most common reasons for data security breaches were discussed. Aside from governmental; regulatory controls and protections for both citizens and businesses were discussed, solutions were also offered. Microsoft Philippines presented its Cyber Security solution. Citing that current security protocols and processes were left wanting in institutions, Microsoft offered a view wherein data privacy and security can be optimized. 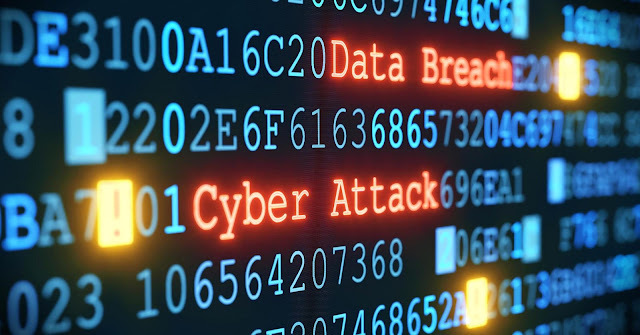 Recognizing that data breaches can come from various vectors ranging from indiscriminate attempts all the way to lone data breach attackers, the usual firewalls are no longer enough to protect data. But there must be a balance struck between the legitimate use of data and securing data. Data that cannot be used is useless. In so doing, business processes will not be hampered by too much security protocols and at the same time, information and data security if maintained. Systems in enterprises must include these in their overall Information System protocols and these must be applied, updated and re-evaluated periodically. The Data Privacy Act of 2012 or Republic Act 10173 spells out what are the requirements for Compliance but more importantly Accountability for data collated by public and private institutions in the country. Also, there are laws internationally that deals with the handling of data collected from the people during government and business transactions. 1. Loss of reputation and trust that will result in loss of revenue and customers. The timely enactment of the Data Privacy Act of 2012 is both to protect the citizens and institutions both public and private with regards to the collation, handling, and transmission of data. According to Damian Domingo O. Mapa, former Deputy Privacy Commission of The National Privacy Commission, there are already cases filed with the NPC with regards to collection of data from citizens wherein, data required by institutions violate the Rights of the citizens. It is in these examples that each institution must have a Data Compliance Officer who is well versed in the Data Privacy Act of 2012 that must ensure that the institution the DPA represent must not only comply with the law but must also be accountable to any breach in the data privacy of Filipino citizens. Faster PH Internet with Submarine Landing Cable Soon! The recent statement by Alibaba founder Jack Ma spelled out the reasons why the country is lagging behind its ASEAN neighbors in economic development. The internet speed in the country leaves much to be desired. In order for the country to match up with its regional neighbors, the internet speed currently prevailing must be improved upon. But the Department of Information and Communications Technology (DICT) and the Department of Science and Technology (DOST) are going into proactive efforts in addressing the concerns. In cooperation with the Bases Conversion Authority and EDGE (Facebook), the logjam will be addressed by the Luzon Bypass Infrastructure (LBI) project. This is the first time that the government of the Philippines will handle the bull by the horns by building and operating its first submarine landing operations. “The signing of the Landing Party Agreement or LPA between the DICT, BCDA, and EDGE for the Philippine government’s first cable landing stations under the Luzon Bypass Infrastructure Project is a major milestone in the history of ICT development in our country,” said DOST Secretary Fortunato T. de la Peña during the formal unveiling last November 15, 2017 in Taguig City. This means that the government will be building an ultra high-speed internet infrastructure or backbone that will be operational by the year 2019. The objective is to reach up to speeds of 100 Mbps. This will consist of a 250-kilometer cable landing network corridor being constructed by the government while EDGE will build and operate the submarine cable that will connect the Luzon grid with the U.S. and Asia. 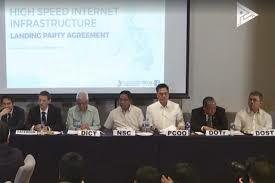 According to DOST Secretary Fortunato T. de la Peña , the government program will provide international connections to local businesses and strengthen the country's digital bridge to the rest of the world. While the signing of the LPA is a major step in that direction, there is still the need to complement this with efforts on last mile infrastructure and in promoting local Internet exchanges which the government is doing via the Free Wi-Fi, iGov, and PHOpenIX initiatives. EDGE (Facebook) will provide the country with 2 Terabytes per second (2Tbps) bandwidth. The DICT will provide operations and maintenance of the facilities for a period of 25 years. Last October, the Department of Science and Technology (DOST) - Science Education Institute (DOST-SEI) brought Space Week to Cebu. This comes on the heels of one of the presentations last July in TechTonics, the Tech Festival held in Manila where the future of Space Technology was presented to Filipino Tech Entrepreneurs. Space Week aims to gather students and educators about space science, technology, and benefits it brings to the world. Space Science also brings awareness to the Philippines’ first microsatellite Diwata – 1 that was deployed last 2016 and has been performing above expectations with its multi-role capabilities that is useful from agriculture to Disaster Risk Reduction and Management (DRRM). As what was discussed in the panel discussions of TechTonic, Space Science offers opportunities to Filipinos in terms of creation of new apps and opportunities in engaging in space technology. This is the first time that Space Week was held outside of Luzon. The theme for this year’s World Space Week was "Exploring New Worlds in Space." 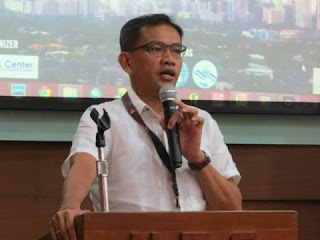 SEI Director, Dr. Joseete Biyo stated that “This is to ensure that we touch on critical audiences as so far, the WSW has primarily reached Metro Manila and Luzon provinces like Dagupan and Palawan. This is the first in the Visayas and we hope to reach more areas for us to really urge students that there are opportunities in space science. “As we move forward with our plans for the establishment of our own space agency, starting with the launch of our microsatellite, Diwata-1, we hope that this celebration makes our people appreciate more the value of space science and technology applications,” Biyo disclosed. The second Philippine microsatellite Diwata – 2 is scheduled for deployment in 2018. Diwata – 2 comes with enhanced capabilities than Diwata – 1. Demetrio Perez is the Department of Science and Technology’s (DOST) Small Enterprise Technology Upgrading Program (SETUP) Best Adopter Awardee for 2017. Perez who hails from Digos, Davao Del Sur is the founder of DP Fabrication Machineries. 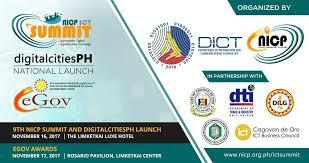 DOST via its SETUP program aims to encourage technological innovation among micro and small business enterprises. DP Fabrication and Machineries will represent Davao Del Sur in the bested 16 other regional finalists competing for the award. Demetrio Perez won the award wherein DP manufactures corn mills, rice mills and various other agricultural machineries that have a competitively lower price than many established competitors. With the objective of mechanizing farming operations and activities, from soil/land preparation all the way to post-harvest operations, said equipment and machineries enable farmers to maximize land use and optimize yield and farm efficiency. DP Fabrication and Machineries was established in 1995, it has grown from an initial capitalization of Php15,000.00 to its present capitalization of about Php20 million. Demetrio Perez cites the experience he gained when starting with the business that was initially based on collecting metals and recyclable bottles. His ability to learn from the various enterprises he has worked for and worked with enabled him to connect what farmers need since he was born to a family of farmers and worked in metal fabrication all the way to his establishing his own metal fabrication business. Currently, his top-selling product is a corn miller that has the same capacity for processing corn as those with bigger corn millers. Also, DP Fabrication and Machineries products are tested and highly rated in terms of performance efficiency and quality by the Agricultural Machinery Testing and Evaluation Center (AMTEC) in University of the Philippines Los Baños. Food Security can be attained with the use of Biotechnology. 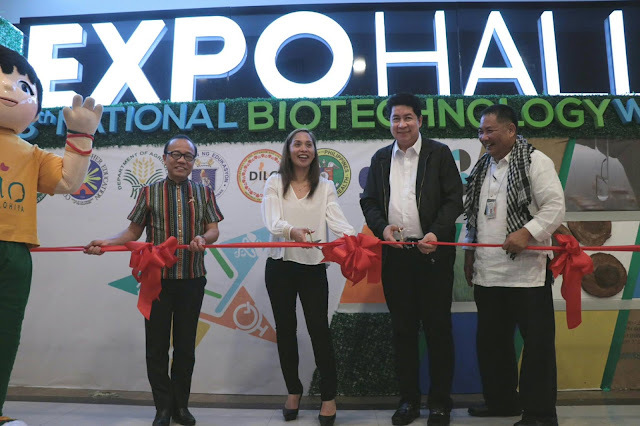 This was stressed by Deputy House Speaker, Rep. Sharon Garin during the 13th National Biotechnology Week (NBW) where the Deputy Speaker was the keynote speaker during the opening ceremonies. According to Rep. Garin, farmers that plant biotech crops are able to increase their crop yields and lower production costs. This results to increased revenues for the farmers and also environmentally friendly farming techniques being utilized. 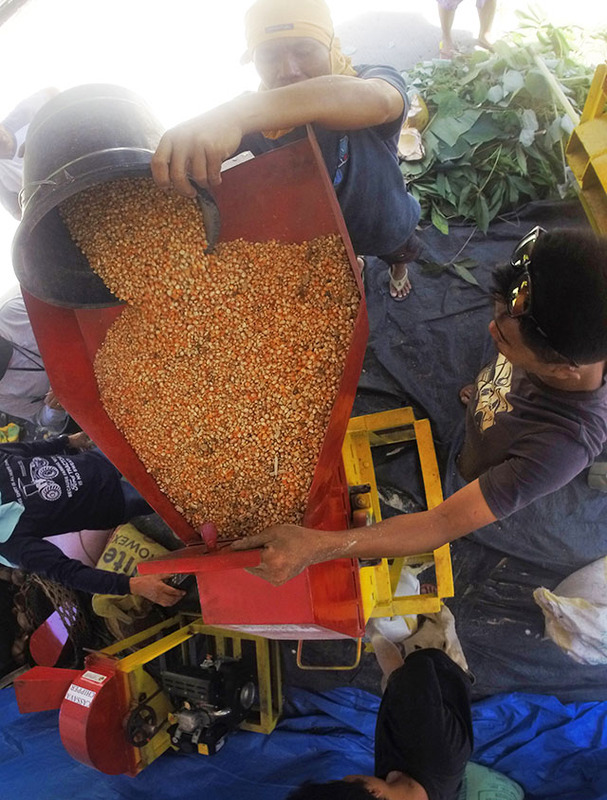 The increase in crop yields will contribute significantly to national food security wherein food can be easily available and at lower prices for the consumption of Filipinos. This is in support of President Rodrigo Duterte’s agricultural policy of national food security. The 13th NBW is led by the Department of Agriculture (DA) in cooperation with other government agencies and institutions. This year’s theme is “Bioteknolohiya para sa Kalikasan, Kalusugan, Kagandahan, kabuhayan at Kaunlaran” and slogan “Lamang ang Masa at Magsasaka sa Limang “K” ng Bioteknolohiya”. The weeklong activity was held last No. 20 – 24, 2017 and it included seminars and trainings on the application of biotechnology in food and agriculture, health and wellness, and environmental conservation through technology exhibits, trade fair, seminars and for a for teachers, students, farmers and consumers. One of the highlights of the 13th NBW is the annual Jose G. Burgos Jr. Awards for Biotechnology Journalism was held last November 22, 2017, at the Brentwood Suites in Quezon City. This is in honor of the late Jose Burgos, Jr., a former journalist, and farmer. The other government institutions and agencies were the Department of Science & Technology (DOST), Department of Health (DOH), Department of Environment & Natural Resources (DENR), Department of the Interior and Local Government (DILG), Department of Trade & Industry (DTI), Department of Education (DepEd), and the Commission on Higher Education (CHED). The 13th National Biotechnology Week (NBW) kicked off last November 20, 2017, at the Fisher Mall Expo Hall, in Quezon City. Different national agencies headed by the Department of Agriculture (DA) and the Department of Science and Technology (DOST) will both lead the celebration and other participating agencies include the Department of Environment and Natural Resources (DENR), Department of Education (DepEd), Department of Health (DOH), Department of Interior and Local Government (DILG), Department of Trade and Industry (DTI), and Commission on Higher Education (CHED). The DOST will spearhead the activities with regards to “Food Evolution” health topics, a biotechnology forum, an agriculture forum and even film showings in UP Diliman. Most of the DOST activities will be held at the Brentwood Suites. This aims to disseminate DOST’s role in biotechnology and innovation. There is also a Luzon Farmers’ Congress, Risk Assessment and Food Safety and consultations with DA Officials, for a for teachers and students and the annual Jonas Burgos Jr. Awards for Biotechnology Journalism. The Keynote Speaker for the 13th NBW is Deputy House Speaker Rep. Sharon Garin that emphasized the importance of Biotechnology in national food security. The 13th NBW will be from Nov. 20 – 24, 2017. Second Place was won by the Philippine Team in the recently held World Robot Olympiad (WRO) 2017 in San Jose, Costa Rica. 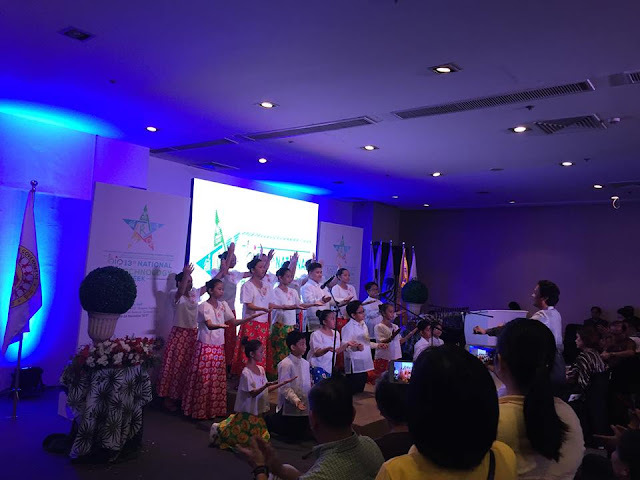 The Philippine Team placed second at the Open – Elementary Category in the WOR garnering an Average Score of 344,25 that enabled the team to place runner-up to the team from Malaysia. The entry of the Philippine Team is “Project Silid Aralan” composed of students from Dr. Yanga’s Colleges Inc. (DYCI Bocaue, Bulacan). 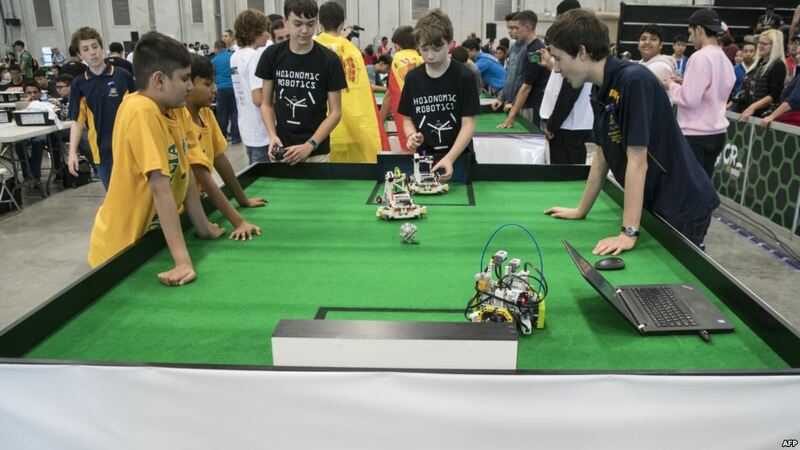 Also, the High School team of DYCI placed fifth in their Open – Category for Junior High School. WRO’s 2017 theme is Sustainabots (Robots for Sustainability) wherein robots were built and programmed for clean energy, robots that are carbon neutral and for sustainable tourism. The field was composed of representatives from 60 countries. The objective of the WRO is to gather young people from over all the world and to cultivate skills in creativity, strategy, and problem-solving. The First Aklan Tech4Ed and Technology Business Incubation Center Launched! Tech4ED Center has been the aim of the Department of Information and Communications Technology (DICT) to bridge the digital divide to enhance socio-economic conditions that will provide inclusive growth for the country by its establishment utilizing eFilipino Technology in economic development projects. Within the Tech4ED project are different segments that aims to cater to out-of-school youths and adults (OSYA), women, teachers, Overseas Filipino Workers (OFWs) together with their families and relatives, persons with disabilities (PWDs), senior citizens, indigenous people (IPs), and entrepreneurs as its targets and END-USERS. The Tech4ED Center in Aklan project is a partnership between the Provincial Government of Aklan (PGA) under the administration of Governor Florencio T. Miraflores and the DICT. Both parties agreed to cooperate and jointly commit in promoting community development through the use of Information and Communications Technology (ICT) for effective and efficient governance I the country. The first Tech4ED Center in Aklan together with the Rural Impact Sourcing Hub was finally launched through the efforts of the PGA, Aklan ICT Council, and the DICT last October 31, 2017, at the Ground Floor of the Provincial Academic Center DRSTMH Compound, Kalibo, Aklan. Along with the launch is the conducting of the first training in Rural Impact Sourcing (RIS). The training had 23 scholars participating that passed the screening interview and written examinations conducted by the PGA and the DICT. The participants are graduates of different courses from various academic institutions in Aklan who aspired to have their own freelancing online careers. They were partnered with 23 Micro, Small and Medium Scale Enterprises (MSMEs) in Aklan in which they were trained to design their partner MSME’s webpages through content writing, photography, and other related subjects. DICT provided the resource person/trainer while the venue and meals for the 12-day training were provided by the PGA. Currently, the RIS scholar/participants are undertaking the several tasks especially conducting marketing campaigns for their partner MSMEs’ products and services utilizing social media platforms such as Facebook, Twitter, Instagram among others. The establishment of the Aklan Tech4ED Center is a clear manifestation of Aklan’s determination to be a pro-active player in the growing ICT industry. The Aklan Tech4ED Centers believe that digital literacy will create more job opportunities for the Aklanon people. Winners of the 6th eGov Awards! The Winners of the 6th eGov Awards were announced last at the 9th NICP Summit held in Cagayan de Oro City last Nov. 16 – 17, 2017. The Awards are for Excellence in ICT for Good Governance for Local Government Units (LGUs) which is an annual search for LGUs that utilize Information and Communications Technology (ICT) that will effectively and efficiently deliver its services to their citizens, constituencies and local business and commercial stakeholders. LGUs that use ICT to further make its governance effective I addressing the needs of its citizens pertaining to services ranging from business applications, real estate tax payments all the way to health services and education is the fulcrum of the new and dynamic form of governance that is catapulting the country I the 21st century. This use of ICT also redounds to economic development for the LGUs with regards to ease of doing business in their localities. This result in increased economic activity and more revenues for the LGUs that will translate to expanded services to the citizenry. The eGov Awards were started in the year 2012 in memory of then Department of Interior and Local Government Secretary Jesse Robredo that initiated the DILG-NICP partnerships that integrated ICT as a component of good governance strategies. This was presented by NICP Board of Trustees member Atty. Jocelle Batapa-Sigue during the previously held National LGU-ICT Forum last October 2017. 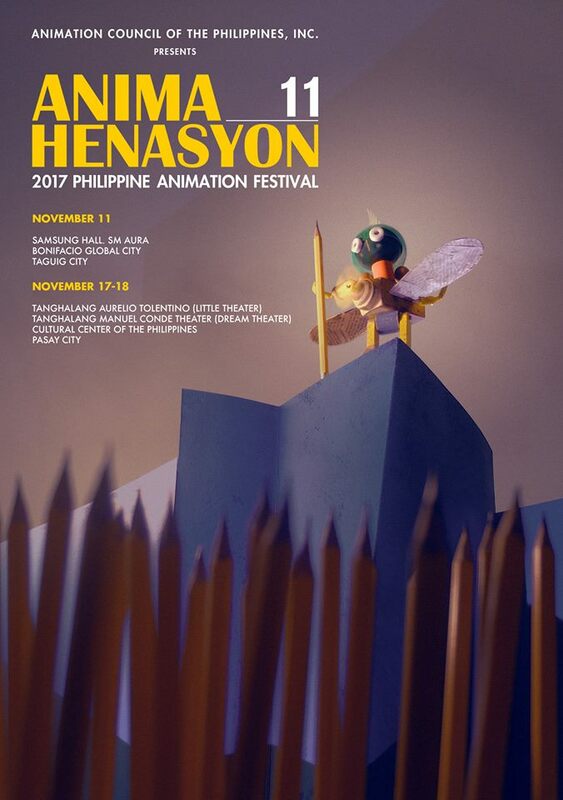 The Animation Council of the Philippines, Inc. (ACPI) sets the stage again this November for the 11th year of Animahenasyon, the leading animation conference and festival in the country. Themed “Leap of Faith”, the 2017 edition of Animahenasyon marks a start of another decade for the festival. Since its inception in 2006, Animahenasyon has become a venue for celebrating the skills and talent of Filipinos in animation and storytelling. “We have always believed in the creative talent and ingenuity of Filipinos. And our goal as an organization is to push the limits of our artists and animators for them to create and innovate more.” said ACPI President Juan Miguel del Rosario. The festival will start with a conference on November 11 in Samsung Hall, SM Aura, followed by screenings and awarding of Filipino animated short films on November 17-18 at the Cultural Center of of the Philippines. A platform for driving conversations about emerging trends, challenges, and opportunities in the global and local animation scene, Animahenasyon will gather more than 2500 participants from the academe, local animation studios, global players, and even independent artists and animators. The conference topics for this year ranges from new technologies such as virtual reality to developing company cultures fit for the creative millennial. “Every year, we try our best to bring to the country Filipino artists who are thriving abroad to share their experiences and new techniques that could both educate and inspire our students and professionals here.” shared Marlyn Montano, Ways and Means Director of Animahenasyon. Del Rosario added that ACPI envisions to create more opportunities here in the Philippines for animation graduates and professionals. Aside from the conference, Animahenasyon also annually holds a competition for original and Filipino-made animations. Receiving almost 100 entries this year, ACPI in partnership with the Department of Information and Communications Technology (DICT) will recognize outstanding entries at the 2017 ICT Creative Awards on November 17. Rikki Orellana, Animahenasyon Festival Director, said they are happy to see the improvements in the the entries that they receive every year. With the continued support of government agencies - Department of Information and Communications Technology, Cultural Center of the Philippines, and the Department of Trade and Industry, ACPI said they are confident the increasing growth and creativity of the animation industry will continue. The festival will also include screenings of animated feature films from Japan, Austria and France. Through these screenings, they aim to expose, inspire, and create impact on our artists when it comes to global trends and international standards in animation. Makoto Shinkai’s Kimi No Nawa (Your Name), a globally acclaimed Japanese animated film, is going to be screened at the Little Theater of the Cultural Center of the Philippines. Funded and supported by the Japan Foundation Manila, the film is expected to give anime fanatics a visual feast. The French Embassy in the Philippines is another longtime supporter of the animation sector. French animated films titled Aya of Yop City, The Girl Without Hands, and My Mommy Is in America and She Met Buffalo Bill will also be screened during Animahenasyon. French Embassy Chargé d’Affaires, Laurent Legodec said 2017 marks as a very special year, marking the 70th year anniversary of Franco-Philippine diplomatic relations. “The French Embassy has been supporting the Animation Council of the Philippines from the beginning, and the very first Philippine animation festival was held following your very first visit to Annecy, and it featured Filipino and French animated films side-by-side.” said Monsieur Legodec. 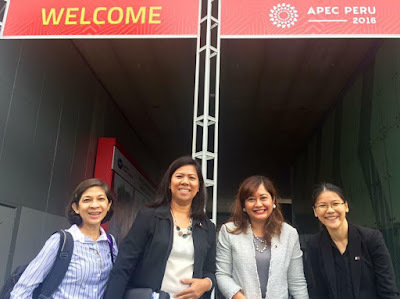 ACPI brought the Philippine flag to two international festivals in France this year: the Animation Film Festival and Market in Annecy, and in MIPCOM or International Market of Communications Programmes in Cannes. With this continuing international trade missions, Mr. Legodec added that “Philippine animation shall be promoted to international markets and find commercial and economic partners in France, Europe and the rest of the world”. Another first in Philippine history, Animahenasyon is also composed of a forum on Women in Animation. According to Orellana, they aim to reiterate the importance and skills of Pinays in a more or less male-dominated animation industry. The Austrian Embassy in the Philippines is bringing to us one of the finest female animators in Austria, Ms. Katharina Petsche where she will bring Turbulent Times & Familiar Places: Tricky Women Short Animations. Animahenasyon expects to support the business growth forecasted the result in the recently concluded Roadmap for the IT-BPM made by Frost and Sullivan. Understanding the needs for domestic and international promotions will have a great significance to where the Philippine Animation Industry will lead in the next five years. Outsourcing is still the driver of growth of the industry but with the increasing demand in original content it will change how we look at the Philippine Animation Industry. “We really hope that our local artists would step up further and produce more original content that could compete globally and could resonate with the global audience.” added Montano. For more information on the full schedule of the festival and how you could join, kindly visit www.animahenasyon.com or email Micah Roncillo at micah.ronquillo@animationcouncil.org. In the background, the time capsule is buried to start the construction, from left to right: Officers of SDG, Morris Agudo, Merci Agudo; Calapan City Mayor Arnan Panaligan; SDG Chairman Mel B. Agudo; Oriental Mindoro Governor Alfonso Umali, Jr.; Oriental Mindoro 2nd Districit Congressman Reynaldo V. Umali; Officers of SDG, Annette Sumulong, and Severino Sumulong. Local Firm Invests in Mixed Ecozone for Oriental Mindoro. 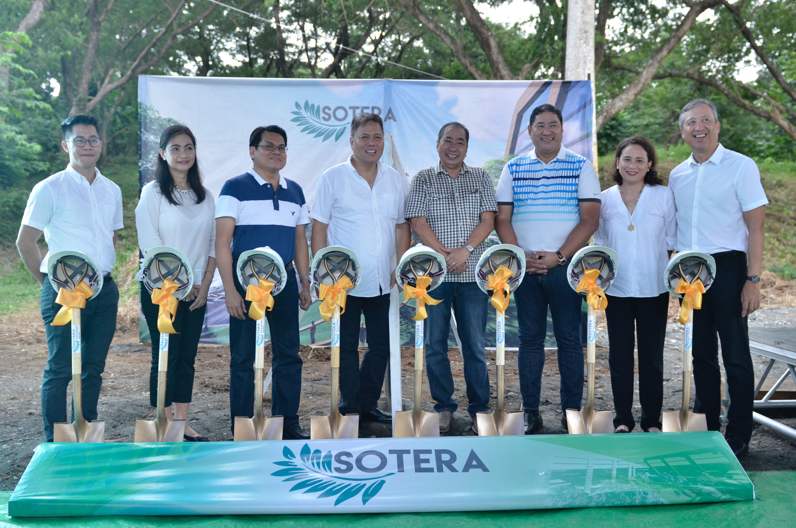 Calapan City, Oriental Mindoro, November 6, 2017– A big local developer in Calapan, Oriental Mindoro, Sotera Development Group (SDG) broke ground recently to mark the start of the construction for Sotera San Antonio at Calapan City, Oriental Mindoro last October 18, 2017. The Development will center around a green park covering some 5,000 square meters. Leading the groundbreaking was Chairman Mel Agudo with Governor Alfonso Umali, Jr. with Cong. Reynaldo Umali and Mayor Arnan Panaligan in attendance, with representatives from academe, DOST, DTI, NEDA, and the community. “…By investing in Mindoro’s Brightest Gold, its People. SDG dedicates this park to every aspiring Mindoreno towards building a Future-Ready Mindoro.” Chairman Agudo said. “The Bayanihan spirit of cooperation is a must for us all to succeed for greater heights…Together let us open the eyes of the world to Mindoro and Mindoro to golden opportunities” This project represents a unique venture and a culmination of two years of planning to create a development which will serve as an anchor for job creation, innovative education programs, and neighborhood activities for the residents of Calapan City and the entire Oriental Mindoro province. 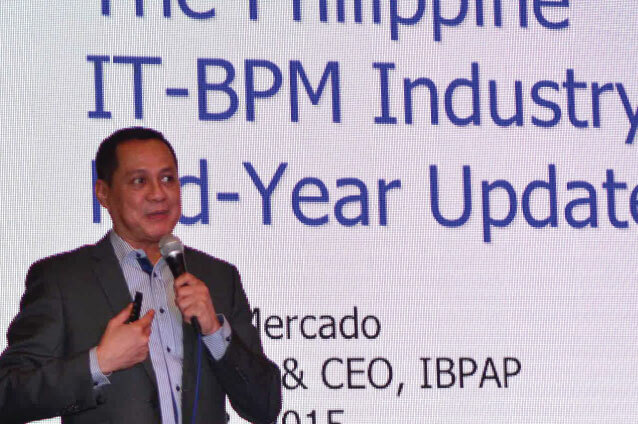 Recognizing the need to address the significant challenges of Oriental Mindoro, cradling the gem of the park, Sotera President Agudo said the project will host new office and commercial space that will cater to, but not limited to the incubation of new technology-driven industries such as the IT-BPM industry, related education initiatives, and ICT enabled businesses. SDG is known for its visionary investments in the field of technology and real estate development. Sotera is set to operate by 2019. Last year, the local governments of Calapan and Oriental Mindoro showed their full support to the creation of a province-wide ICT council to serve as a platform for collaboration with industry, academe, and government. Agudo is thankful for this initiative and assures his full support to the direction of the council, especially the vision of making Oriental Mindoro a destination of choice for ICT industries. NI’s Universal Software Radio Peripherals are software defined radios which can be used for massive MIMO testing. Fifth-Generation (5G) technology is inevitable. 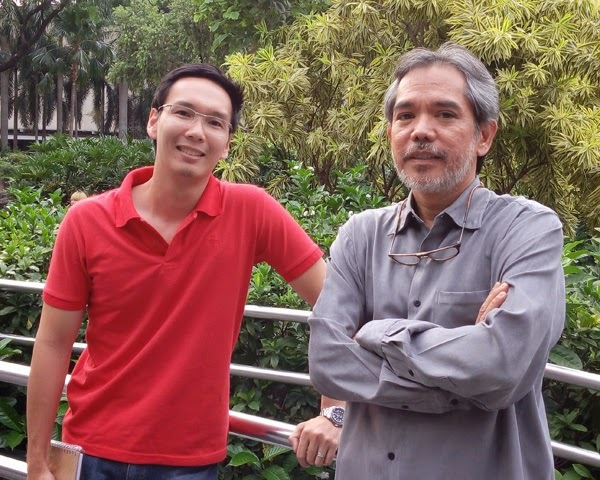 This was according to Dr. Ian C. Wong at the DOST-ASTI Software Defined Radio and 5G Research organized talk recently held at the University of the Philippines, Diliman Electrical and Electronics Engineering Institute (UP-EEEI). Unlike past generation wireless technologies, 5G focuses on having a more advanced level fo communications. Instead of the person-to-person communication, this is about extending the communication and transmitting data and communication via person to person, machine to machine and machine to human. “What's big about 5G is extending a machine-to-machine and human-to-machine world. Think about the smart factor, a self-driving car. So that's one thing that a 5G network wants to enable,” Dr. Wong said. “Fifth-generation technology changes the paradigm. 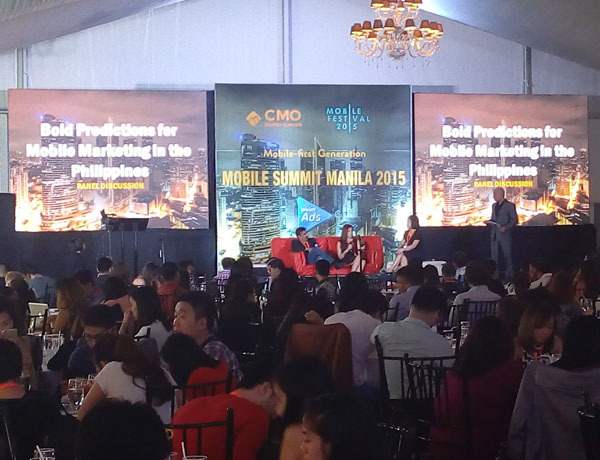 It adds two main thing – enhanced mobile broadband and Internet of Things (IoT),” Dr. Wong said. Currently, Dr. Wong is the Senior Group Manager of the Advanced Wireless Research Group of National Instruments where he heads the company's 3GPP and 802.11 wireless standards strategy and platforms for wireless system design, simulation, prototyping, and implementation. 5G operates in the frequency range from 3 GHz up to 30 to 40 GHz. When it comes to the bandwidth of such technology, it ranges from 200 MHz up to 800 MHz. Whereas Phase 1 is to be finished by December 2017. “At NI, we've been working with wireless research for quite a while. 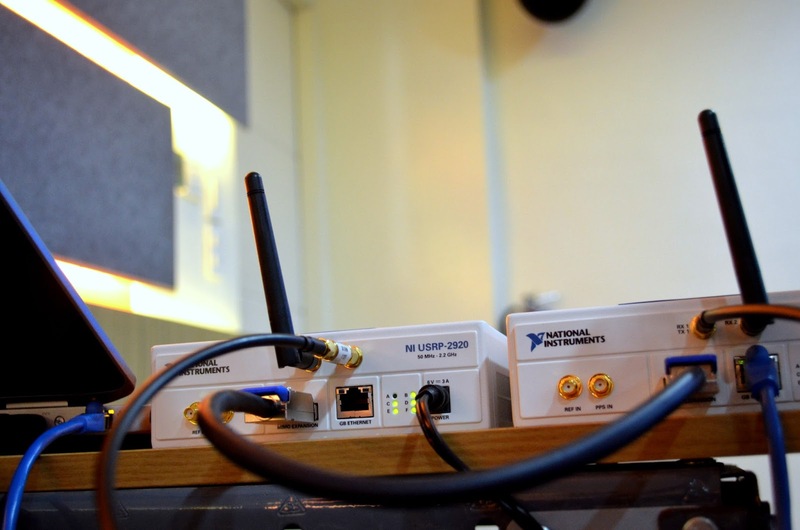 We want to further wireless research to prototyping. We work with a lot of academic and industry institutions. It will really be a great opportunity for UP and DOST-ASTI to be part of this, of us, working together on this wireless research”, Dr. Wong said. Two technologies that play major roles as 5G that leads to a milestone are the NI's Massive Multiple Input Multiple Output (MIMO) and Millimeter Wave (mm Wave). “The mmWave is pushing up the frequency to really go up beyond the base stations sites. It goes from 24 all the way up to potentially 70, 80, or even 90 GHz, and use that for mobile communications. That's something totally new for mobile industries,” Dr. Wong explained. 5G technology is expected to be implemented by the year 2020. Techblade has been following Diwata – 1 since its development, launch and deployment and is eagerly following the development of Diwata – 2. Those are the first Filipino micro-satellites and Diwata – 1 has proven its utility and the enhanced capabilities of Diwata – 2 will further push the benefits of the PH Micro-Satellite Program. One of those with crucial contributions to the program is Dr. Joel Joseph S. Marciano, Jr. Dr. Marciano has been instrumental with his “Development of deployable antennas for the Diwata- 2 micro satellite’s amateur radio payload,” and “Capacity building in space technology in the Philippines through the PHL-Microsat program,” that was submitted to the 31st International Symposium on Space Science and Technology (ISTS). 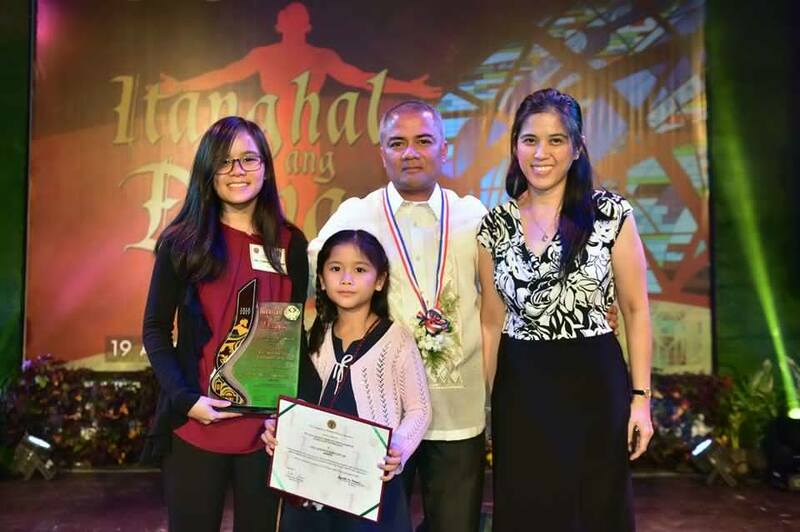 The University of the Philippines Alumni Association (UPAA) recently recognized Dr. Marciano with its 2017 Distinguished Alumni Award. Dr. Marciano is currently the Department of Science and Technology – ASTI Acting Director. His pursuit of researches in the field of Wireless Communications, Radio Frequency (RF) and Microwave Engineering has put him in the forefront of Philippine Advanced Sciences. His co-authoring of various research papers on adaptive antennas and applications to wireless communications systems and even the development of microsatellite space technology dates all the way back to 1993 when he became part of the President’s Summer Youth Work Program (PSYWP) as a member of the Radio Frequency team. The UPAA Distinguished Alumni Award is given to “alumni who have demonstrated extraordinary achievements and excellent contributions in their chosen fields that bring about substantial benefits to society and distinct honor to the University”. In 2014, it was estimated that 2.5 quintillion bytes of data were created every day worldwide. In the Philippine2, 42.1 million are on Facebook and 13 million on Twitter. This, along with the Gross IT Spending of US$4.4 Billion in 2016 is evidence of the growing digital economy and increase of international trade in data. Aside from that, many Filipinos are already digitally “stamped” since most of the everyday transactions in government and private institutions that require collection and storage of data and information from business permit applications to hospital and doctor’s appointments. The nature and volume of the data collected and stored require privacy policies and even more strict security procedures and systems. 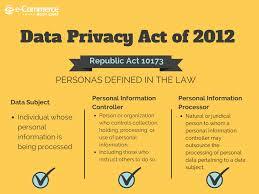 The Congress of the Philippines passed Republic act 10173 or otherwise known as the Data Privacy Act (DPA) of 2012. By September 9, 2016, the Implementing Rules and Regulations (IRR) were put into effect. 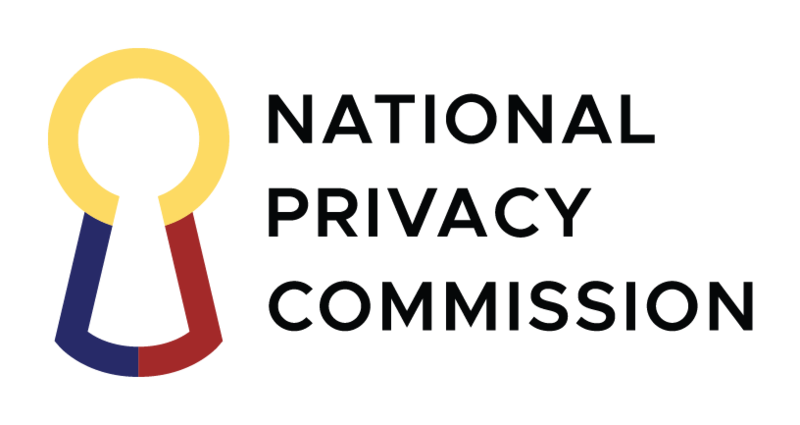 This also established the National Privacy Commission (NPC) that will implement the DPA. The DPA aims to make public institutions and agencies and private companies and corporations responsible for the data that they collect and store. It is not only restricted to storage but also about the way the data collected from individuals and the public is used and even disposed of. The collection of data from the public must be transparent and legal. The public must be informed where and how the information they divulge will be used and what are its intentions. Any improper use of such information and improper disposal of collected and stored information will result in fines of up to Php5.0 million and imprisonment for a maximum of 7 years. 1. There must be a New Perimeter safeguarded by passwords and credentials. 2. Always Assume that there is a Breach. It is approaching the system as if there is a breach and the defense is the “Prevent” Approach. 3. 80% of the breach is due to the use of non-approved software and apps in the workplace. This is to acknowledge that today, there are many attack vectors and protection must be done on several layers. Also, it is important to note that the cost of systems breach is at 2.6 million US Dollars daily. It not only disrupts service but also damages the reputations of the institution, companies, and corporations who are the victims of such breaches. In protecting data and information the following are needed. The above-mentioned requirements will be further added into since data protection against data breach is a continuing evolution.